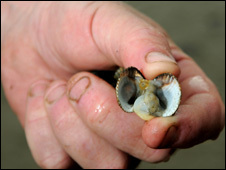 Scientists are asking for help as they try to pinpoint the impact of losing Welsh cockle beds on wading birds that rely on the food source. Researchers are investigating how the diet of oystercatchers is changing, following mass cockle deaths off Gower and Carmarthenshire. People who find dead oystercatchers are being asked to report them so they can be examined. Separate investigations are ongoing into why the cockle beds are dying. 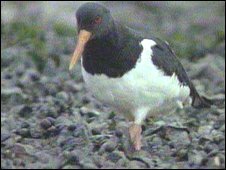 The Coastal Zone and Marine Environment Research Unit based at Pembrokeshire College is looking into oystercatcher diets. Second year student Rhiannon Baker explained: "I am collecting evidence of what oystercatchers might be feeding on in the absence of the usual glut of cockles in the Burry Inlet and the Three Rivers Estuary." She said her research would be helped by the chance to examine what the oystercatchers had been eating before they died. Dr Ziggy Otto, senior marine conservation officer with the Countryside Council for Wales said the Burry Inlet was designated as a Site of Special Scientific Interest and large numbers of oystercatchers fed on the mud and sand flats. "We know that the number of visiting oystercatchers has declined and their distribution and behaviour has also changed in recent years," he said. "Rhiannon's study will provide us with further insights into how the birds might be trying to cope with such drastic changes to their habitat and life-support system." Anyone who finds a dead oystercatcher is asked to contact Dr Ziggy Otto on 07970 708722 or Rhiannon Baker on 07903 870631 and the bird will be collected as a matter of priority. As a precaution against bird flu people are strongly advised not to handle the dead birds themselves.